Can India ever be corruption free? Is it even realistically possible? Dr.Kalam said “If a country is to be corruption free and become a nation of beautiful minds, I strongly feel there are three key societal members who can make a difference. They are the father, the mother and the teacher” . I believe in the Mantra of “Soch Badlo Desh Badlo”. I believe that until and unless the thinking of people not get changed the situation can’t be improved whichever country it is. Corruption in India is indeed a major issue which does affects India’s economy. It is dragging the whole country down. The more the corruption, the slower the economic growth. According to the latest study, India has been ranked 94th out of 176 countries in corruption. From time to time, Indian media has widely published allegations of corrupt Indian citizens stashing trillions of dollars in Swiss banks. It ranges from embezzlement of public money to abuse of power i.e., demanding bribes! 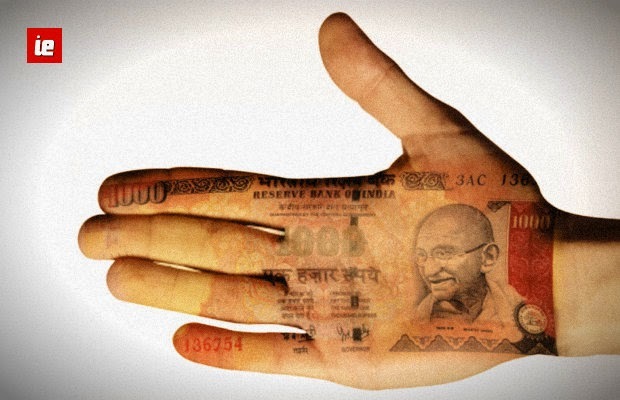 “Show me the money, and your work is all done” — that’s what corruption in India is all about! Bribery exists in several countries and in many different forms, but corruption in India is a past time. The corruption is so deeply rooted in India that it has not spared even the justice system of the country. Corruption has a severe negative impact on the economy of the country. Besides, it maligns the image of the nation in the international world. It is a matter of shame, that even after 57 years of independence, India figures among the first thirty most corrupt countries. The Virus of corruption has crept into all walks of life and it can endanger the body politic of our nation. Corruption always existed in human society in one or the other form. In primitive period, the scope of public administration was minimum, as a result the scope of corruption was also limited. After independence, with the concept of welfare state coming into existence, the scope of being corrupt widened. Corruption is regarded as a low risk and highly profitable way of earning quick money and whoever is caught, knows how to go scot free. In this country which is known for moral and ethical values, where spirit of truism is adored, fair means were advocated to attain anything, has now counted among the top thirty most corrupted nations of the world. From peon to Prime Minister, from clerk to the Chief secretary all have been found involved and charged for many acts of commissions and ions. How can we imagine to eradicate the corruption in just a swamp of time? One day common man went to a theater to watch a movie. There was a queue of 10 people. He just scanned the queue and found the 7th person as a known person. He went to the 7th person, said “Hi” and stood behind him. Corruption started there. Others had not objected him. With this, he saved time taken for 3 people to take tickets. But 3 people got delayed. Next day the common man went to a government office. He gave his file and asked how long it will take. The officer said that there were 3 files before his file, by afternoon his work would be completed. He thought for a while and said, “I have to come all the way again. Please take 100 rupees and complete my work first”. The officer thought for few seconds, “My work is not increasing or decreasing. I am getting extra money for doing my work, why to lose it? After all who knows in which order I have done my work?” and agreed. The officer took 100 rupees and completed common man’s work. Another day common man went to the office, gave 100 rupees along with file. The officer asked him to come after 4 hours. Common man was shocked and asked, “I am paying money to get the work done immediately. Why should I wait for 4 hours?” Then the officer said, “The other people also paid 100 each. Why should I do your work first?” Common man thought for some time and gave 200 rupees to get his work done immediately. The officer took the money and completed his work. Corruption is not a new phenomenon in India. It has been prevalent in society since ancient times. History reveals that it was present even in the Mauryan period. Great scholar Kautilya mentions the pressure of forty types of corruption in his contemporary society. It was practised even in Mughal and Sultanate period. When the East India Company took control of the country, corruption reached new height. Corruption in India has become so common that people now are averse to thinking of public life with it. Corruption has been defined variously by scholars. But the simple meaning of it is that corruption implies perversion of morality, integrity, character or duty out of mercenary motives, i.e. bribery, without any regard to honour, right and justice. In other words, undue favour for any one for some monetary or other gains is corruption. Simultaneously, depriving the genuinely deserving from their right or privilege is also a corrupt practice. Shrinking from one’s duty or dereliction of duty are also forms of corruption. Besides, thefts, wastage of public property constitute varieties of corruption. Dishonesty, exploitation, malpractices, scams and scandals are various manifestations of corruption. Corruption is not a uniquely Indian phenomenon. It is witnessed all over the world in developing as well as developed countries. It has spread its tentacles in every sphere of life, namely business administration, politics, officialdom, and services. In fact, there is hardly any sector which can be characterised for not being infected with the vices of corruption. Corruption is rampant in every segment and every section of society, barring the social status attached to it. Nobody can be considered free from corruption from a high ranking officer. To root out the evil of corruption from society, we need to make a comprehensive code of conduct for politicians, legislatures, bureaucrats, and such code should be strictly enforced. Judiciary should be given more independence and initiatives on issues related to corruption. Special courts should be set-up to take up such issues and speedy trial is to be promoted. Law and order machinery should be allowed to work without political interference. NGOs and media should come forward to create awareness against corruption in society and educate people to combat this evil. Only then we would be able to save our system from being collapsed. A peculiar face of corruption in our Country is that it goes upstream not down stream and so most of the fundamental policies and decisions about big purchases, contracts, projects etc, are distorted at the top level. The delay in disposing of the cases of corruption, is one of the important causes of flourishing of corruption. Corrupt officials even if caught can manage to go scot free in due course of time by manipulations or otherwise. Possessing of vast discretionary powers by the political leaders, bureaucrats is also one of the important reasons of being corrupt. Discretionary powers in appointments, nominations to various bodies, allotment of Petrol Pumps and other agencies resulted into favoring the kith or kin and because of their vested interest. Huge election expenses necessarily incurred by the vested interests, whether by the private companies or by the people to be later on gains with the aid and assistance of such political leaders, who now enjoy the chair because of their investing the money is a fundamental reason of politicians being corrupt. Politics has become such a lucrative business that once you occupy the chair by hook or by crook you become rich for ever with many perks and facilities throughout the life. Discretion be minimized at the barest possible level. Whenever discretion is used, should be based on reasoning and reasons must be on record. Unreasonable use of discretion could be reversed back and such provisions should be included in the system. Elections Expenses must not be allowed to cross the limits. The loopholes like making expenses by other persons that are not included in party expenses must be plugged. The political parties have to be sincere and honest to fight the cancer of corruption. Judiciary system to try the cases of corruption must be accelerated and it should be time bound. Whatever expenses needed to establish separate courts for the trial of the cases of corruption, must be incurred and given top most priority in future planning. The people and the society can play very important role in fighting the gigantic wild animal of corruption. The general awakening can make the politicians and bureaucrats to use their discretion fairly. The common men must cast their votes not on the basis of caste or creed or party, but on the basis of values and character of the candidates. In a democracy the actual power lies with the voters but once a leader is elected by them, the people are made a puppet to play by their. There is.a need to make a law to call back the corrupt leader if decided by the voters even before 5 years’ term. The politicians use their caste affiliations and religion, to woo the innocent voters in their favor. The common man must use the vote wisely in favor of the honest and educated candidate.To eradicate the corruption from the society all have to fight it, lt is the most powerful and the most dangerous monstrous evil which rises to manifold itself with the passage of time. Brand building of anti-corruption has to start from schools. Every student should utter anti-corruption slogans at least once a day. That gets recorded in their brain. When they see a corrupt person, their mind shows the person as bad person. With this discriminatory power, their mind won’t allow them to become a bad person when they grow.If every part of Society contributes in fighting corruption soon India will be Corruption free as India is now Polio-free.”Now its time to Act not to Think”!! Indian Exponent: Can India ever be corruption free? Is it even realistically possible?